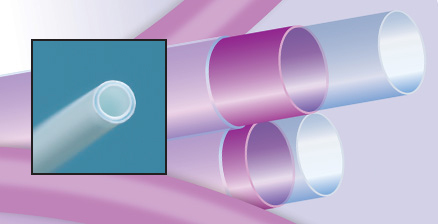 In addition, Teleflex Medical OEM has the deep expertise and decades of experience to manufacture multi-layer balloons, high-pressure injection extrusions, and tubing for minimally invasive applications. Teleflex Medical OEM is a global leader for precision extrusion of high-performance fluoropolymers and thermoplastics. From heat-shrink tubing to multi-lumen tubing to ultra-small tubing, we produce extrusion with outstanding tolerance control, length accuracy, and tubing consistency. Teleflex Medical OEM is your single source solution for extrusion development and manufacturing. Our extensive, vertically integrated capabilities include engineering, design for manufacturability, regulatory services, material selection and formulation, testing and validation, manufacturing, finishing operations, assembly, and packaging. ©2017 Teleflex Incorporated. All rights reserved. Teleflex and “Work With The Extrusion Experts” are trademarks or registered trademark of Teleflex Incorporated in the U.S. and/or other countries.